There’s not much better than cruising around the city on an OjO scooter! At OjO Electric, we’ve put all our effort into making an adult electric scooter that’s perfect for navigating the big cities. One such big city that’s excellent for traveling through on an e-scooter is Santa Monica. Santa Monica features plenty of bike lanes that you can smoothly ride along on your adult electric scooter. 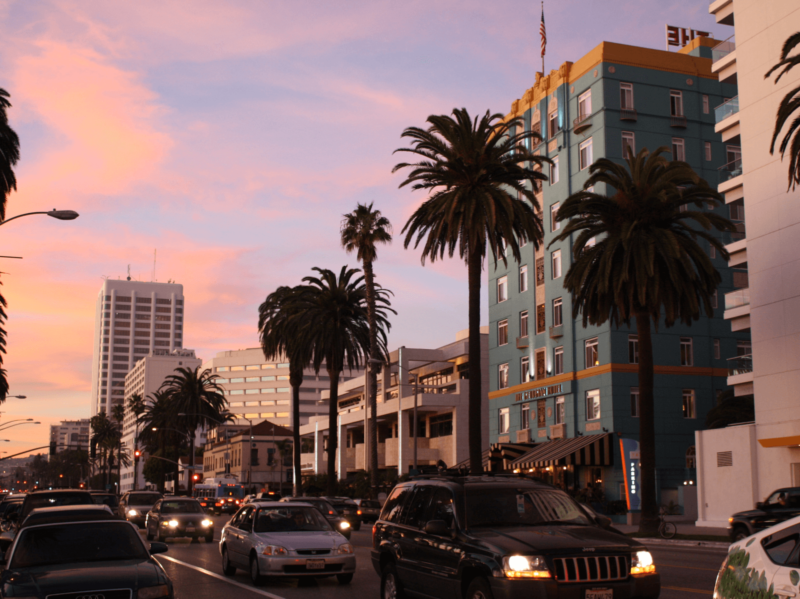 If you happen to be riding through Santa Monica, we’d like to help you out a bit by giving you some of our favorite restaurants to stop by while you’re out. Trust us – you’ll love them! If you enjoy Greek food, have we got the place for you! Inotheke offers a contemporary interpretation of Greek cuisine and refined, flavorful Mediterranean food. You’ll find plenty of Greek classics that include moussaka, dolmades, and spanakopitakia along with a strong focus on wine. Bay Cities Italian Deli & Bakery prides itself on offering what they consider to be the most iconic sandwich in all of Los Angeles – the Godmother. This signature sub is filled with ham, Genoa salami, provolone cheese, prosciutto, capicola, mortadella, and “the works” in its house-baked roll. This deli has other stuff too, of course – you just won’t want to miss the Godmother! If you’re looking for the best gourmet burger in the city, Father’s Office would have a strong case to make. This cozy and small bar is well-known for its Office Burger that’s cooked to perfection and topped with caramelized onions, crispy bacon, bleu cheese, and arugula. Father’s Office also offers a fantastic selection of beers to pair it with, making it an excellent choice if you’re just looking for a burger and a beer. Tar & Roses is one of the most popular restaurants in all of Santa Monica and all it takes is one look at their menu to discover why. They’ve got something of everything on their menu, including delicious appetizers, vegetarian dishes, approachable small dishes, and massive meals that include whole fried snappers and dry aged ribeyes. To top it all off, they even offer a massive wine menu with plenty to choose from. If you’re excited about the thought of touring Santa Monica on one of our OjO scooters, we encourage you to buy an OjO off of our website. If you’d like to know more about our electric moped, feel free to give us a call at (805) 991-7444 or contact us online and let us know. We hope to hear from you soon!